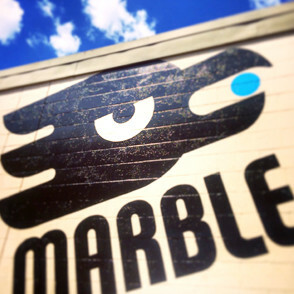 Marble is a cornerstone of the Albuquerque community. 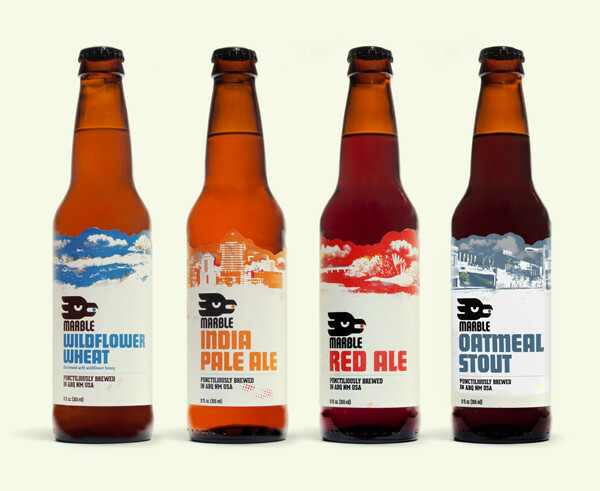 A sense of place and source of inspiration is captured in the punctilious photo-illustrations on the beer cans and bottle labels which depict local city, bosque, and desert-scapes. 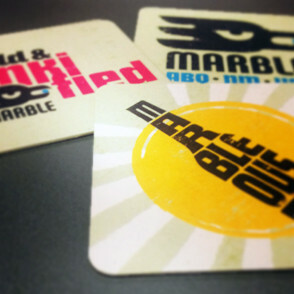 After 6 years in business, Marble felt it was time to rethink their visual identity and branding. 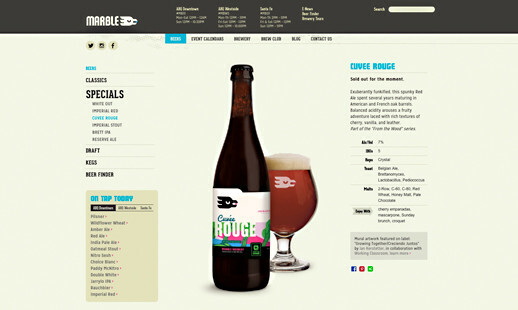 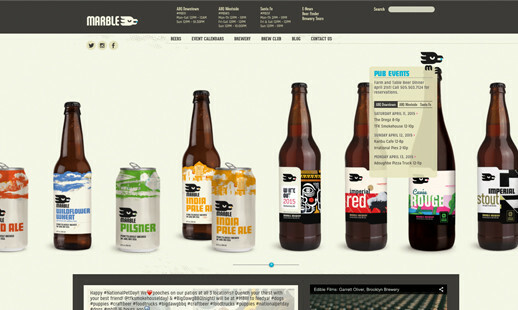 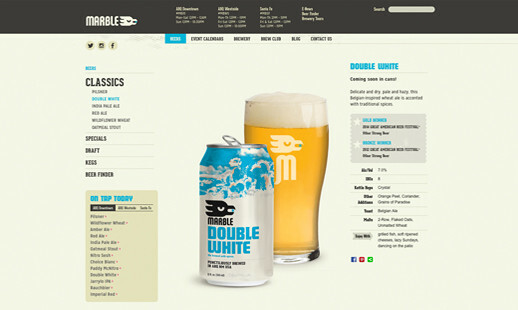 The old identity was not flexible enough to meet growing needs, and it didn't reflect the true culture of the brewery. 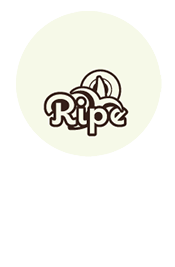 Ripe engaged the people of Marble—staff, customers, and community—to uncover the heart of this brand. 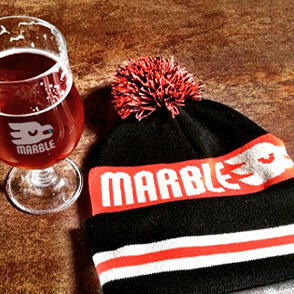 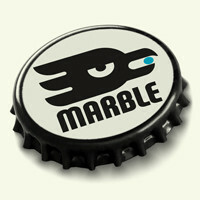 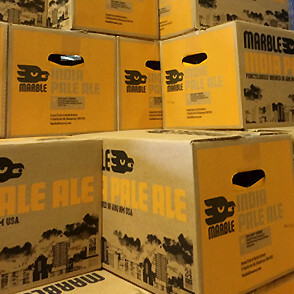 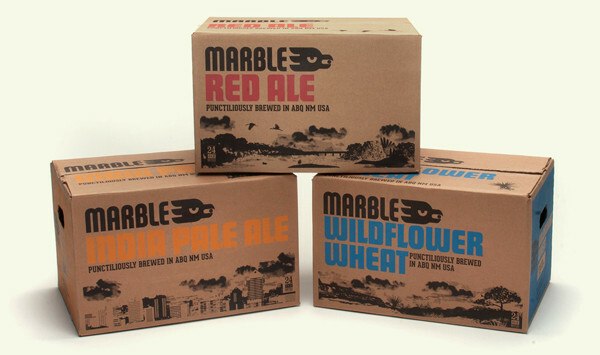 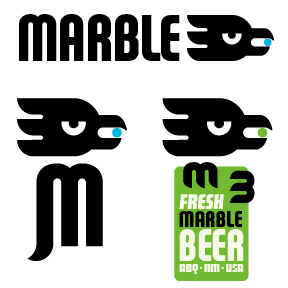 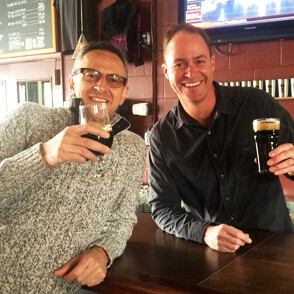 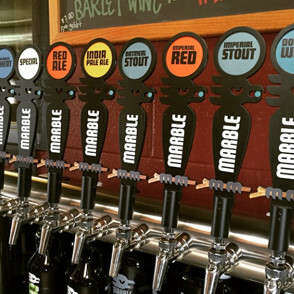 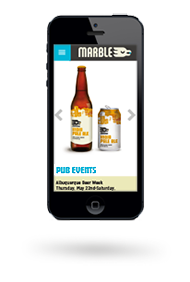 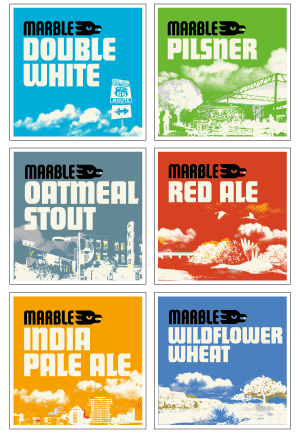 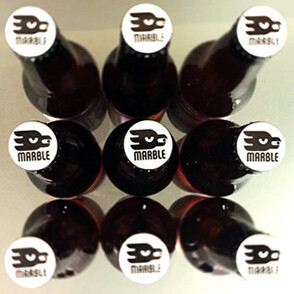 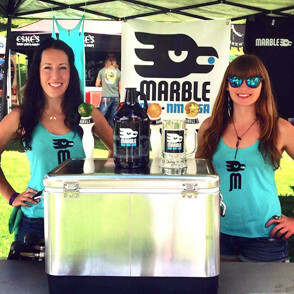 Marble's intensely delicious and adventurous beers are an example of the thriving creative culture that defines Albuquerque, one that Marble actively supports. 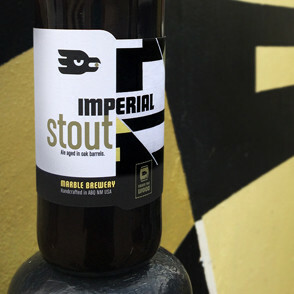 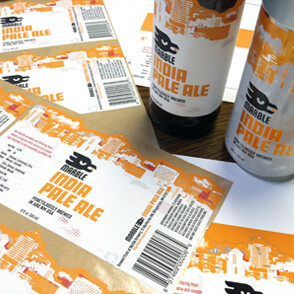 To express that connection we joined forces with local mural artists to create a gallery space on the special beer labels. 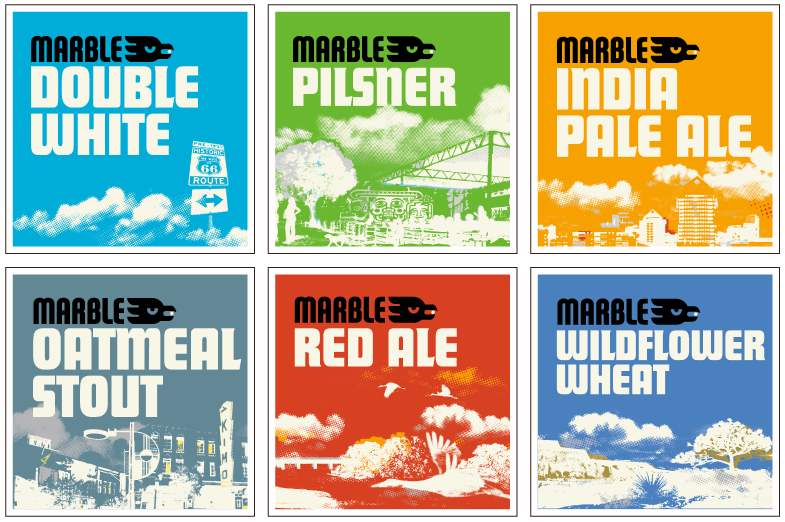 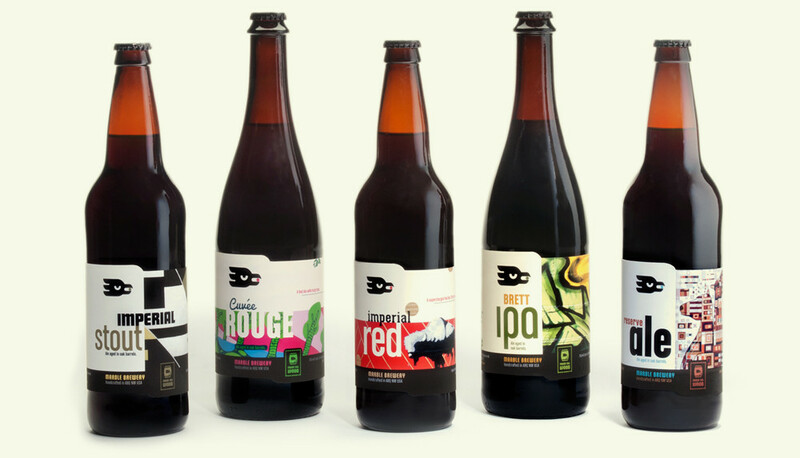 Each mural image chosen expresses characteristics similar to those of the beer. 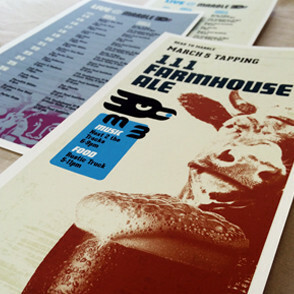 Urban Mural (detail): “Campo Expandido VIII” by Raymundo Sesma (.com), in collaboration with Working Classroom (.org). 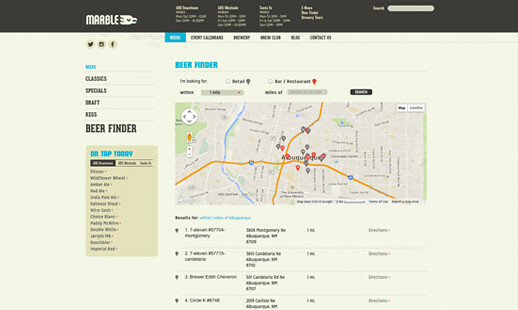 Urban Mural: “Growing Together/Creciendo Juntos” by Ian Kerstetter (IanTKerstetter.net), in collaboration with Working Classroom (.org). 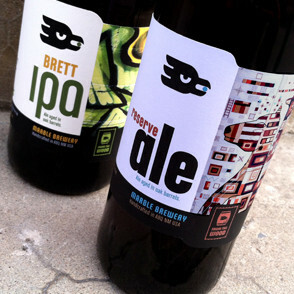 Urban Mural: “Pattern-Nation” by Frank Buffalo Hyde (.com), in collaboration with 516 ARTS (.org). 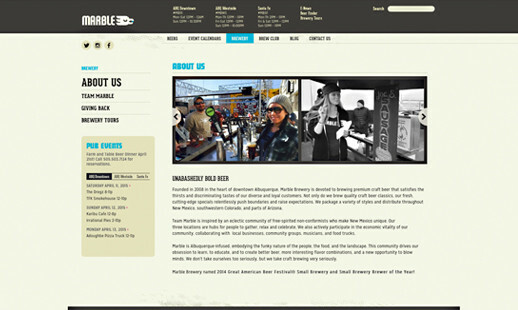 Urban Mural (detail): by Queens Under Estimated, located at The Brew (TheBrewABQ.com), downtown Albuquerque. 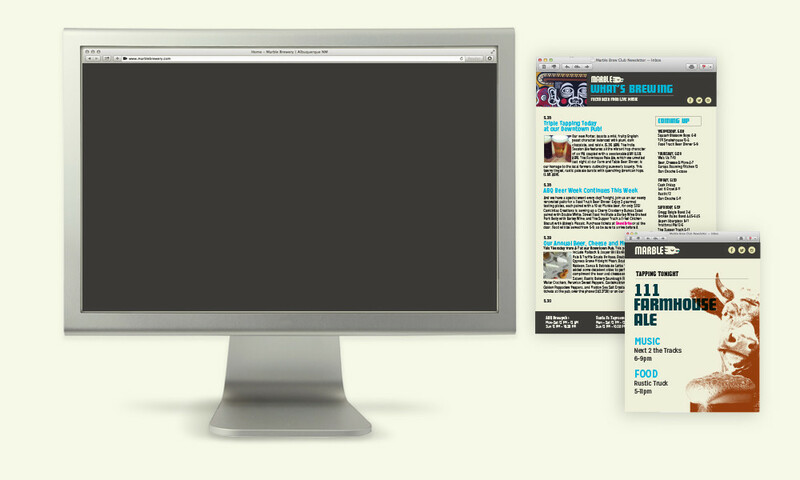 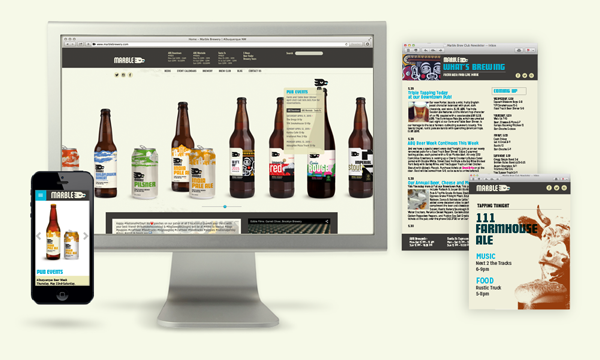 Translating the new branding to web was more than a face lift. 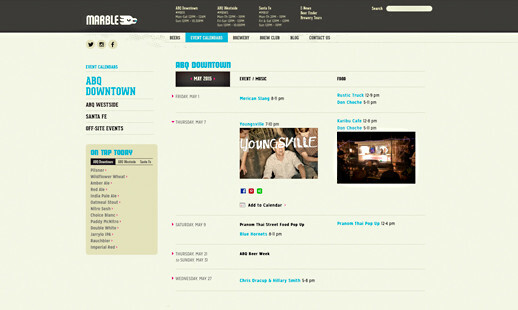 The new site was designed to be a resource for the community to track bands and food trucks as well as what's On Tap Today at both Marble locations. 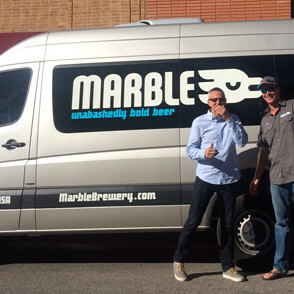 Our research was the catalyst for a totally new identity that embodies Marble's independent, fearless, adventurous spirit, and that of their customers. 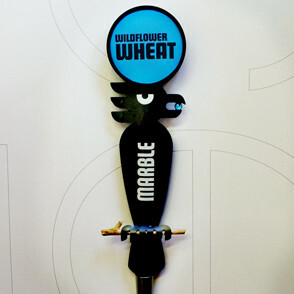 A symbol that quite literally represents how Albuquerque has embraced Marble Brewery and cherishes it dearly. 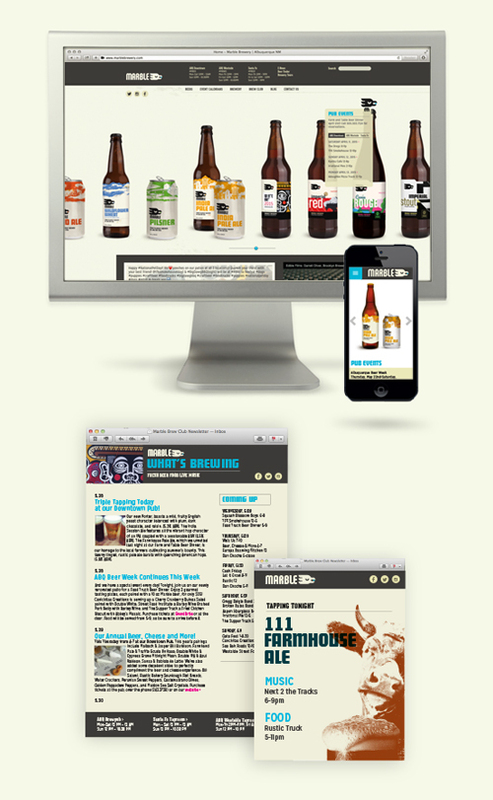 Imagery supported by brand messaging that expresses an obsession with quality.